For some the only car they are interested in is the one that is faster than everything else. It’s an exceedingly expensive passion to be afflicted with. For others though the interest is not in attempting to own something that is faster than almost everything else on the planet. Instead they are interested in owning a car that just exudes character. It’s the cars that exude character that turn heads and stop traffic. One stopped me on a recent drive through the mountains heading for “the big smoke”. I saw something that instantly had me rapidly going through my British Police System of Car Control – “mirror and signal, brakes, gears and mirror, turn” and I entered the gravel surfaced car park of a quint little roadside cafe outside of which was the prettiest Brooklands Green MG TF I have seen. The owner and his friend were attempting to get the top up. Rain was threatening and they were having some difficulty as the car had only recently been restored and they’d never had the top up before. It was a gorgeous classic MG in an equally gorgeous classic colour and I was just a little envious of them in their struggles to get the top up before the rain came down. 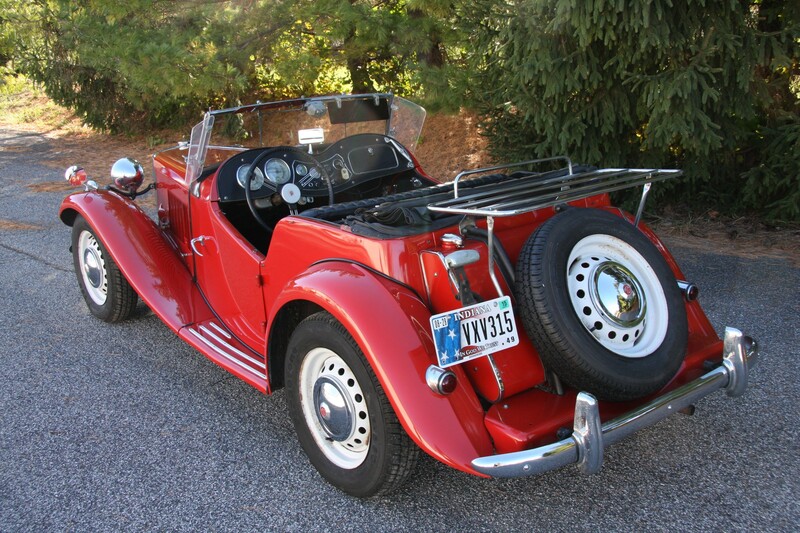 For those who are into cars that exude character, such as old MG’s there is an MG TD currently up for auction on BaT which I stumbled upon on the Bringatrailer.com website. At time of writing there was 1 day and 12 hours left on the auction and bidding had only reached a modest USD$7,100.00. 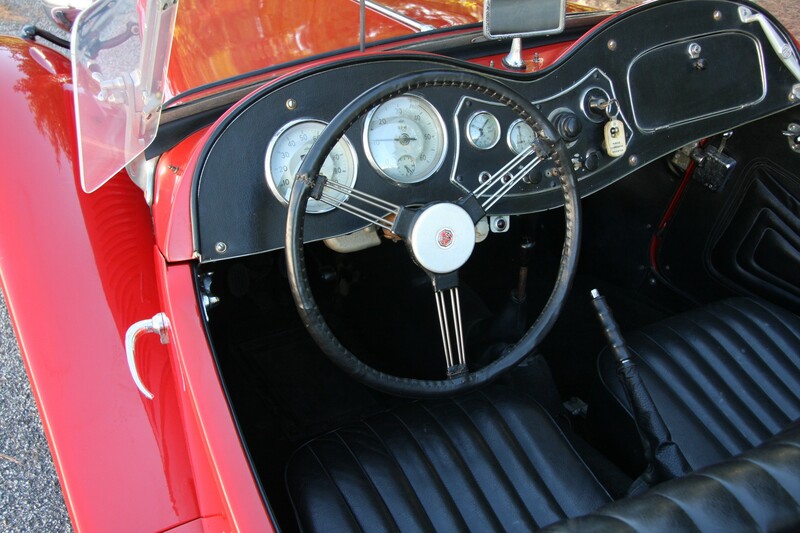 The MG TD is the predecessor of the MG TF that caused me to rapidly practice my system of car control and make that unscheduled stop at a roadside cafe. 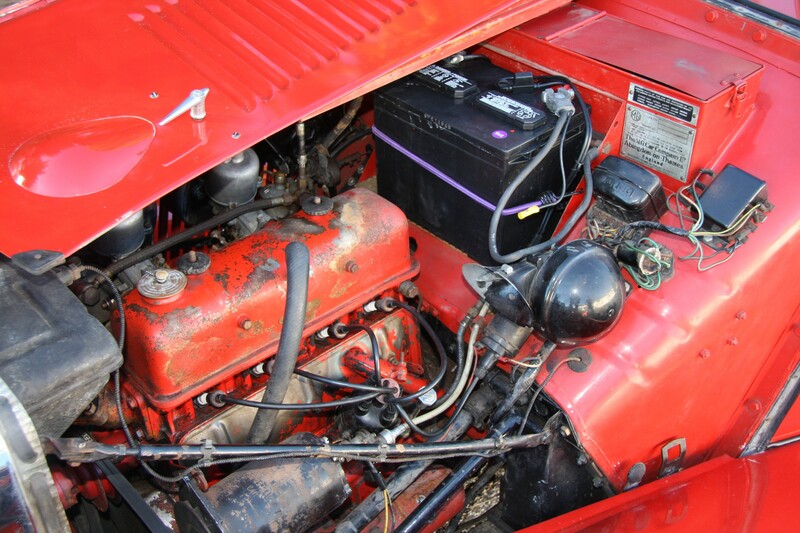 It is a car with loads of character and a car that was made to be tinkered with. So they are fun on the road and fun in the garage too. What more could one desire? 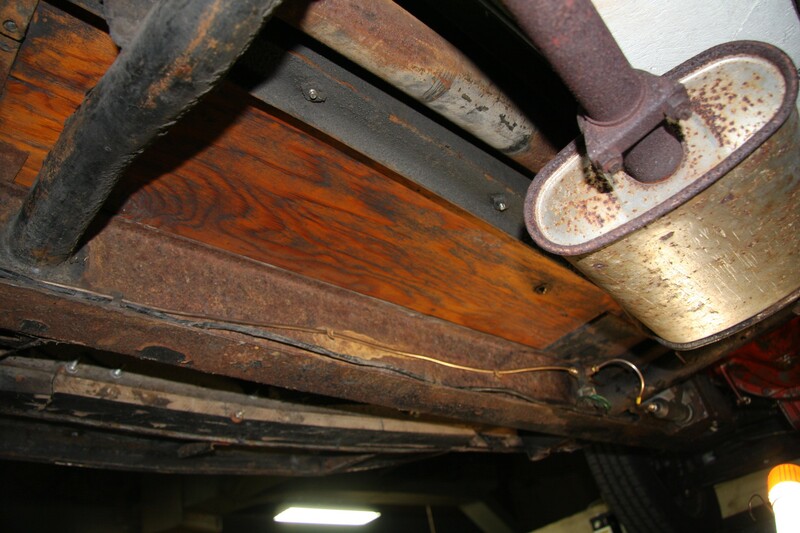 The car had been restored by a Purdue mechanical engineering professor back in 1990 and had spent much of its life stored in his garage. 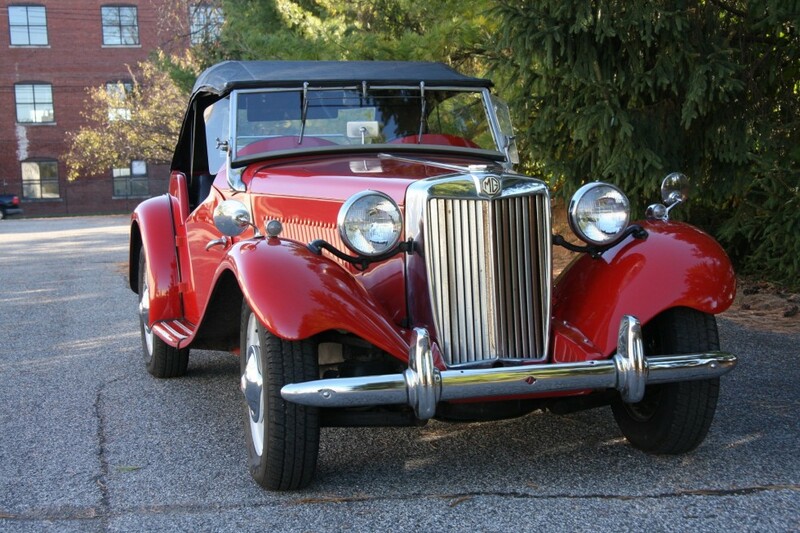 Despite the fact that the car had been restored twenty five years ago it is in very nice shape. Some superficial corrosion is visible on the chrome of the radiator grill but the car overall looks in excellent shape. In need of some TLC but not in need of a major restoration. 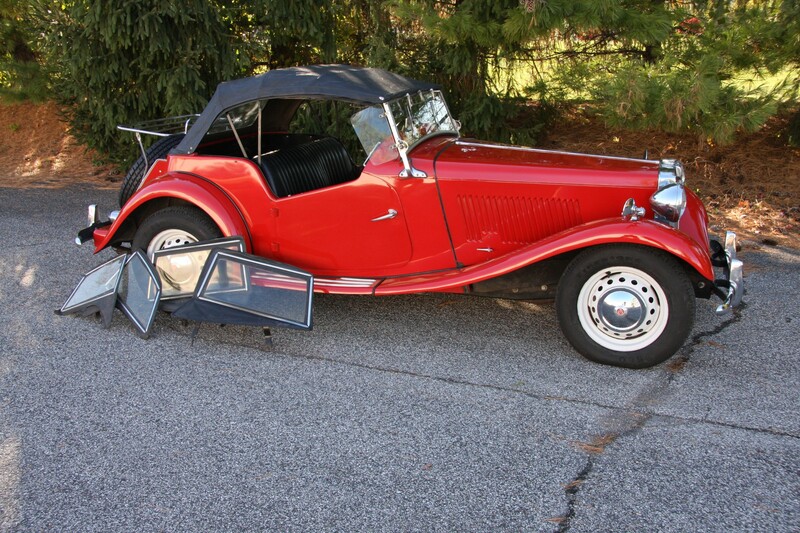 If you are interested in full details on this MG TD you will find the BaT auction page if you click here. Who knows, if you succeed in buying this car you may well be the cause of some stranger rapidly practising his/her System of Car Control as they stop to talk to you as you put up the top.